How do you know you are using Cloud platforms as efficiently as possible? 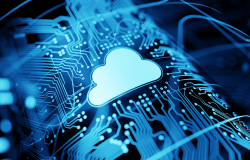 As a Managed Security Services Provider (MSSP), there are important criteria to consider when choosing a Cloud platform that works for your business. In our webinar, Himanshu Verma, Director of Business Development, will discuss how a Cloud platform should not only increase your profitability as an MSSP but also provide the scalability and flexibility you need.